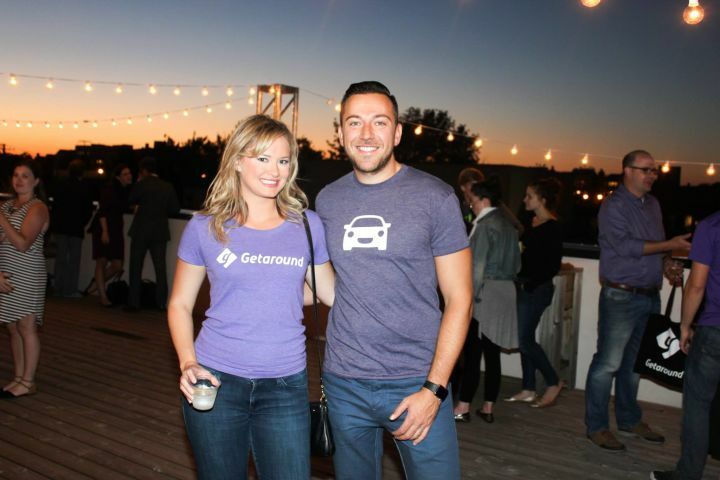 For about a decade, I’ve known Jessica Scorpio to be a passionate leader and visionary, always deeply committed to driving Getaround’s mission. Her early contributions remain some of the company’s greatest foundations for success and for those, I am grateful. As she steps out of the day-to-day, while continuing to be active on our Board of Directors, I can’t help but reflect on all her past success. When Jessica, Elliot, and I set out to create Getaround over eight years ago, it felt like a distant reality. We imagined that, through a single app and a four-inch piece of hardware, we would redefine mobility on a global scale. We’d show up to work everyday aiming to create a world in which all cars are shared, where everyone has access to the transportation they need, and where there are fewer cars on the road. Jessica not only made showing up to work to fight for that mission fun, but she also played a crucial part in keeping the lights on at Getaround. Despite the success we’ve been so fortunate to have, our mission to solve what we call “car overpopulation” was looking to be a long, rough road at the start. Insurance companies refused to engage with us, the first alpha testers looked at us like we were crazy, we started developing hardware in-house, and there were countless other obstacles. 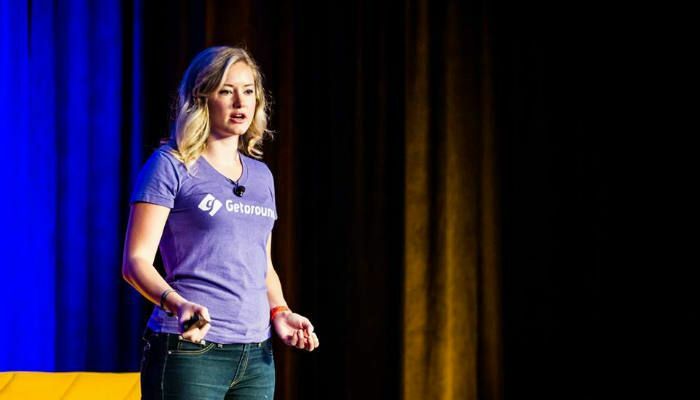 One of the first challenges Jessica took on was a tenacious endeavor to acquire the home of our brand: our domain, Getaround.com. The URL was owned by an early purveyor of online real estate, and Jessica knew that if she approached the domain owner as the founder of a VC-backed tech company, their price would be high. She created an alias, with no connection to Getaround, with which she approached the domain owner. Still, the seller quoted her at over $100,000—much more than we could afford. So Jessica networked her way through the domain industry and found someone willing to ask the owner for the friends-and-family deal on her behalf. Eight months after setting out to purchase the domain, she finally got it, and for a fraction of the original price. Then, there was the insurance issue. We initially pitched about 200 insurance providers, all of which passed on the risk as it was unclear to providers who would be legally responsible for covering an accident—the renter’s personal coverage, the owner’s insurance or Getaround’s insurance. Jessica, being a master of outside-the-box solutions and having a political background, spearheaded an initiative to pass new legislation that would align with our insurance needs. Together with other local leaders in carsharing, we wrote AB 1871 into California law (and several other states that followed suit); this law made it clear how consumers engaged in “Personal Vehicle Sharing” were protected and how insurance coverage applied. It also enabled Getaround to obtain insurance from our first industry partner, Berkshire Hathaway. 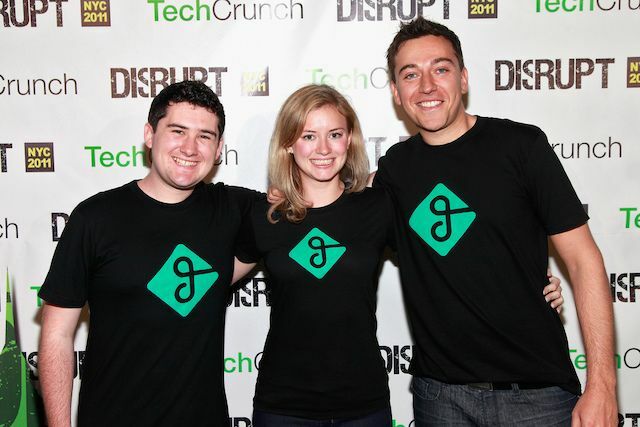 Even before our 2011 TechCrunch Disrupt win, Jessica was pushing Getaround into the spotlight through clever brand identity strategies, one of which was linking the Tesla name with our brand. She did this by securing the world’s first hourly rentable Tesla through an early investor, and including the car in a week of pitching at CES. It got us some impressive media coverage and drew in early customers who appreciated our innovation and sustainability mandate—all before the sharing economy really took off. Jessica’s ingenuity, from marketing to operations to sales, will be missed but in having her continued involvement at the Board level, we’ll still be able to harness her creativity, spot-on instincts and deep industry knowledge. Knowing her, she’ll still be working tirelessly to accelerate our growth and make our vision a reality. And as she travels new roads in her career, we know that wherever she builds bridges and clears pathways, our footprint will be right there, in step with hers. Jessica’s transition comes at an exciting time as we’ve been working to build out our Executive team and are confident in the leadership that’s taking the helm. Getaround has attracted some of the best and brightest, and we all eagerly welcome these four individuals who have the background and experience to support our continued growth and innovation. Vanessa MacIlwaine joins as VP People & Culture, responsible for Getaround’s human resources and workplaces functions. She brings over 20 years of human resources and talent leadership across an array of industries, including experience at Lucasfilm, Williams-Sonoma, Inc., and one of the first peer-to-peer lending companies, LendingClub. Vanessa holds a B.A. in Psychology from the University of Washington. Allison Van Houten joins as VP Marketing, responsible for Getaround’s brand and consumer marketing. Allison is a senior marketing leader with 13 years of experience in building and scaling great consumer brands, rapidly acquiring and retaining users, as well as launching new products for some of the biggest names in technology and media, including Google, YouTube, and Omada Health. Allison hold a B.S. from Boston University in Communications, and an MBA from University of Michigan, Ross School of Business. Spencer Jackson joins as Getaround’s first General Counsel, bringing nearly 15 years experience as a corporate and intellectual property lawyer advising public and private high-growth tech companies in IPOs, acquisitions, tech transactions and other critical matters. Spencer worked as a corporate and IP attorney at Orrick, Herrington & Sutcliffe for 8 years, then joined Ooma, Inc. as its first General Counsel, taking the company public on the New York Stock Exchange in July of 2015. Matthew Gore joins as VP and GM of Conveyance, Getaround’s turnkey mobility operations and revenue management service, bringing 13 years experience to the team, spanning a breadth of operational leadership and peer-to-peer experience. Most recently, Matt ran Fleet Operations for Uber’s autonomous vehicle unit and worked closely with cities and states to craft the legislation that defines the industry today. Prior to Uber, Matt was at the Boston Consulting Group, and earlier, served as an officer for the U.S. Navy. Today, we are well on our way to realizing the vision that Jessica, Elliot and I set out to achieve years ago. We have Jessica to thank, in large part, for how far we’ve come, and I’m excited to pass her torch to a world-class executive team. Within the past year alone, we’ve secured $325M in Series D financing, expanded upon partnerships with Uber and Toyota, opened several new major markets and are now operating in more than 90 cities and counting. Year by year, that distant reality is seemingly a bit closer, and I have every confidence that Getaround will continue to break new ground. From where I sit, we have the best team in place to achieve our mission and empower people everywhere with shared transportation.